The award-winning firm has taken on Chloe Quinn, a student from Doncaster charity YMCA Training which supports young people to learn the skills they need to achieve their aspirations. Expanding the team by over 300 per cent since its launch in February 2017, PM Legal Services has also promoted Kirsten Etheridge; another YMCA training student who has clinched the charity’s Learning Awards for two consecutive years. 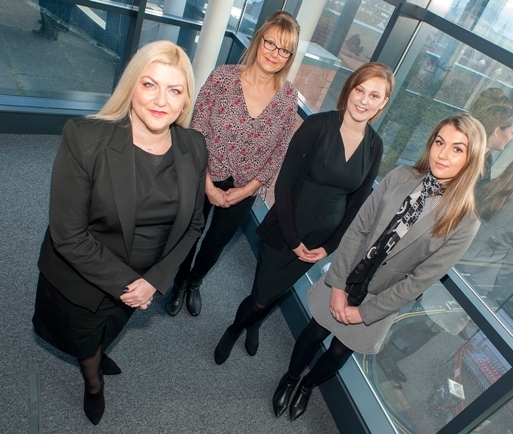 Chloe has been appointed as an administration assistant and Kirsten has been promoted from office administrator to junior PA to Cassandra Zanelli, a recognised residential leasehold expert who heads the team. Cassandra, a frequent presenter at industry events, donated her moderator’s fee to YMCA Training from the recent high-profile national conference of the Association of Residential Managing Agents (ARMA) which also supports the charity.